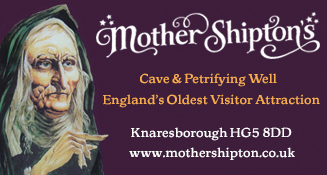 Mother Shipton was born in 1488, in a cave on the banks of the River Nidd and grew up around Knaresborough. She was a strange child, both in looks and in nature. Her nose was large and crooked, her back bent and her legs twisted. Just like a witch. As she grew older, her prophecies became known throughout England. She foretold the defeat of the Spanish Armada in 1588 and the Great Fire of London in 1666. She made her living telling the future and warning those who asked of what was to come. 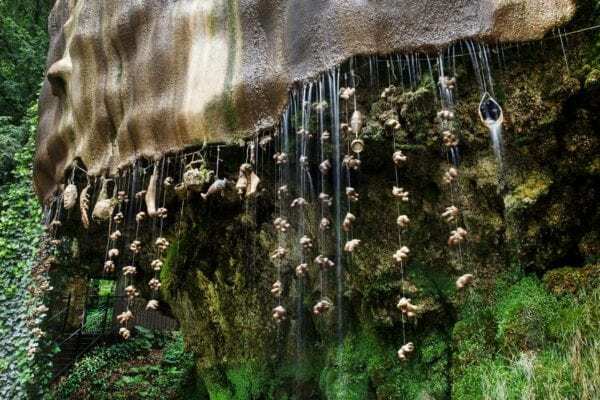 Mother Shipton’s Cave is situated next to the Petrifying Well, a unique geological phenomenon. Over hundreds of years curiosity has drawn millions of visitors to the well to see cascading water turn everyday objects to stone – as if by magic. Themed events run during school holidays. In 2019 families can enjoy a Hoppy Easter Adventure Trail, May Half Term with Unicorns and Dinosaurs, a magical Summer Holidays of Witches and Wizards and a Spooktacular Halloween. The popular Christmas Experience will be returning for its second year! Details will be released on the website in due course. 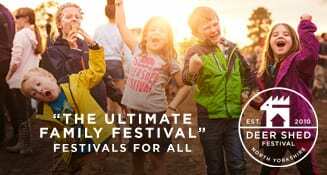 For more information about family events visit our website. Please check the website for special events, up-to-date opening times, and any unforeseen park closures. Parking is £2 in addition to admission, payable on entrance only. We cannot guarantee parking during busy periods. Danes Dyke; Jutting out miles into the North Sea, the headland has in the past been effectively cut off by the construction, in the Iron Age, of the erroneously named Danes’ Dyke, which encloses five square miles of the peninsula. The end of the Dyke is a deep ravine on the south side of the Headland, where it exits into Bridlington Bay There are a number of nature trails in the Dyke which can be accessed easily from the car park off the main Bridlington to Flamborough Road. 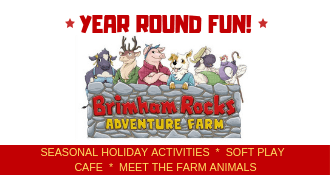 Fun family days out in our adventure park with Quad Biking, Segways and Footgolf. 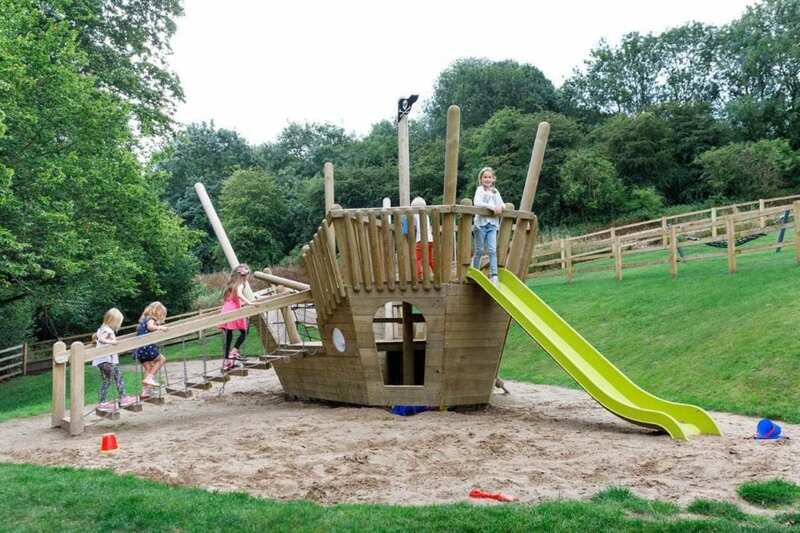 Enjoy a Picnic in our Woodland Kingdom with slides, swings, assault course, treehouse fort and more! £5 per car and then £15 per car from 27th May. 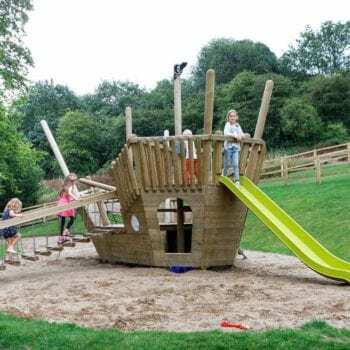 Free entry to the Woodland Kingdom with pre-booked activities. Plenty of lovely views and tea rooms! 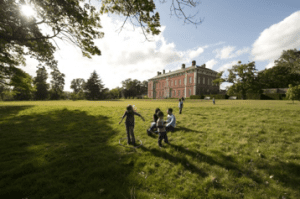 Live For Today Adventures is an outdoor events company that deliver Outdoor Activities at Ripley Castle. 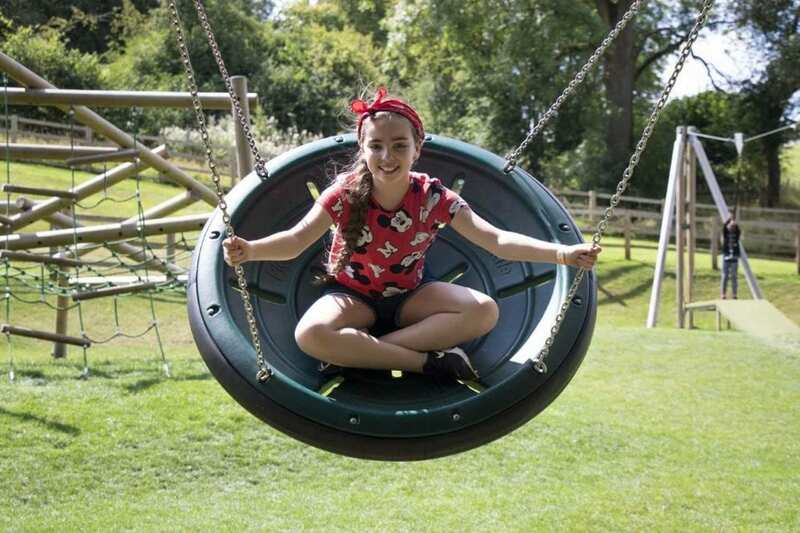 From Kids Parties to Family Days Out, we can provide a fun, exhilarating activity day for you! 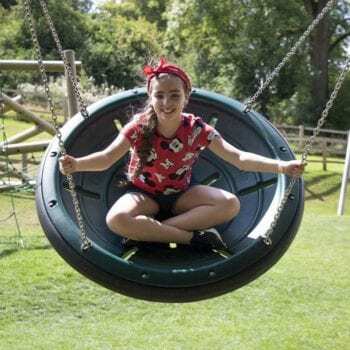 We deliver a huge variety of activities including; High and Low Ropes, Raft Building, Archery, Bush Craft, Canoeing/Kayaking, Body Zorbing and Orienteering. 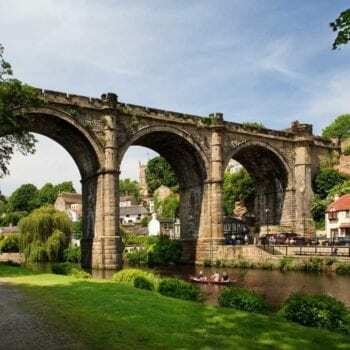 The North York Moors National Park is a beautiful landscape of stunning moorland, spectacular coast, ancient woodland and historic sites. 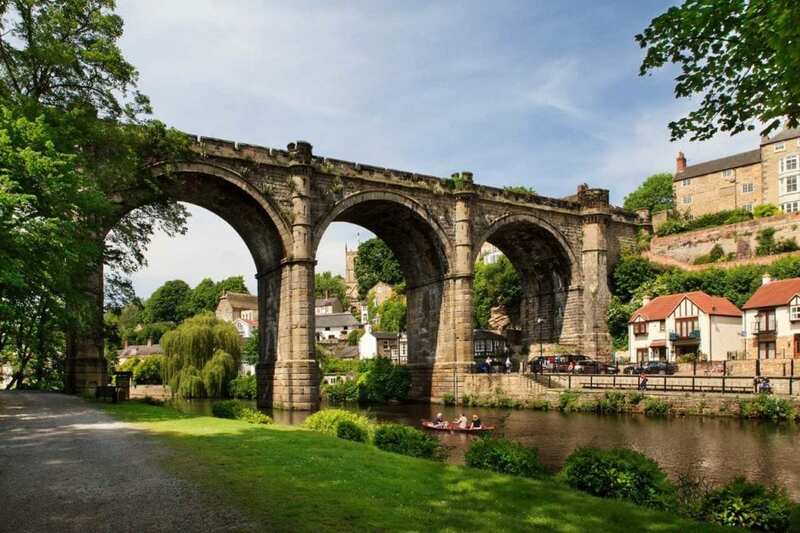 Find out what there is to see and do and discover how the National Park Authority works with the people who live here to care for this beautiful place. 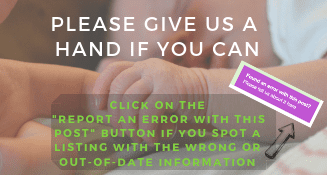 “You can do a loop; down Mill Lane, along Crimple Beck, through the woods to Crimple Meadows playground (though tricky with pushchair, you can also just go along road). There’s also a nice walk around the back of the Black Swan at Burnbridge through fields and woods, I’ve done it with a pushchair but it is rough terrain so you’d need a pushchair with large wheels up to the job. 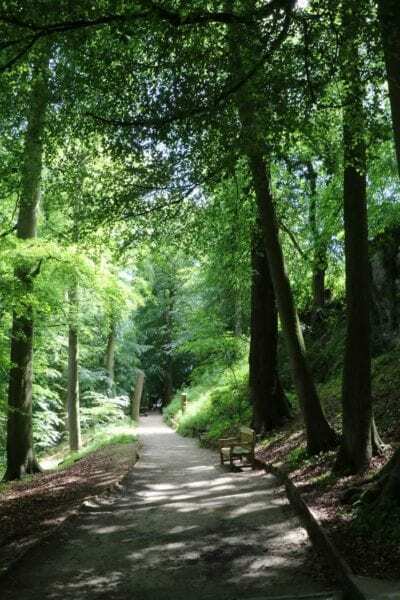 You can walk from the bottom entrance at the Pump room museum right up through the valley gardens and pinewoods to Harlow Carr and either loop round or come back along Otley Road (Via the play park!) and either Coldbath Road or Cornwall road. “It’s not very long (unless you do it several times) – It’s a circuit but has a little park and the fab fish and chip restaurant round the corner if you’re feeling naughty! Is very flat and perfect for pushchairs and my older one loves scooting and seeing the ducks and sometimes model boats.